Summer wildlife in Hokkaido is highlighted by some very big creatures: Brown bears, Orca whales, dolphins and seals. While eastern Hokkaido remains the wildlife hot spot in Hokkaido, Daisetsuzan National Park and the Tsugaru Strait also offer good opportunities in summer. 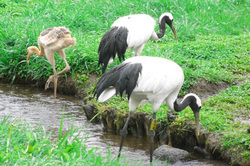 Additionally, there are birding tours, deer spotting walks, Blakiston's fish owl viewing ryokans and red-crowned cranes all waiting to be discovered. If you're not lucky enough to spot wildlife during your tour, Hokkaido has some fantastic zoos and aquariums where you can quickly become acquainted with the island's local fauna. Take a look at our Summer Wildlife & Zoos entries below for more information. While the undisputed best place for brown bear spotting in Hokkaido is at the UNESCO World Heritage Site of Shiretoko Peninsula, ​ trekking up to Daisetsuzan National Park's many peaks can also reveal bears in the distance bush. 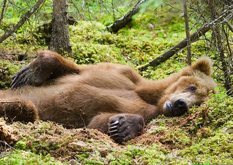 For those with less luck or energy, you can visit a bear park. Visitors can get up-close with brown and black bears, observing them in their natural environments from the safety of shuttle buses or elevated walkways, such as at Hokkaido's best bear park: The Sahoro Bear Mountain. Starting from May, cruise ships depart from Abashiri, Rausu & Nemuro to observe marine life in the Sea of Okhotsk. Sightings of dolphins, killer whales, seals and even on-shore brown bears on Shiretoko Peninsula become more and more likely in the summer months. Hokkaido residents have a special place in their hearts for the tanchou-zuru, or red-crowned cranes, that live in eastern Hokkaido's wetlands. These graceful and noble creatures can be seen at a number of sites around Kushiro, including the Kushiro Wetlands Reserve, Tsurui Village and the Akan International Crane Center. They currently number over 1,500 in Hokkaido and are seen as one of the symbols of Japan for their nobility, faithfulness and longevity. Summer is a great time for birding in Eastern Hokkaido, especially with the local boat tours running out of Nemuro. There are many varieties of ducks, gulls and finches, as well as the adorable Puffins. The areas around Lake Furen and Notsuke Peninsular are also birding hot spots. Ezo deer, native to Hokkaido, inhabit most regions on the island. Although very shy, they often venture out from their grazing areas around sunset, and road sightings are more frequent then. The Shikotsu-Toya National Park, along with most areas in Eastern Hokkaido, are good regions to try and spot Hokkaido's deer. Marine Park Nixe is one of the most beloved family-themed aquarium in Hokkaido, with daily dolphin & seal performances, a unique sardine light show and feeding times that guests can visit. This a great activity for families with young children, and is located just outside Noboribetsu Onsen Resort. 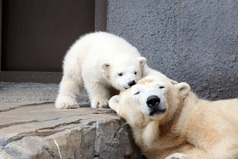 Asahiyama Zoo, located 20 kilometers outside of Asahikawa, is one of the top zoos in Japan. An interesting feature at the zoo is the bubble-domes which allow visitors to view animals from inside their own enclosures. 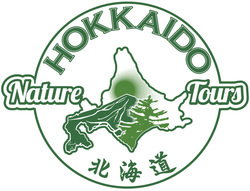 Recommended for zoo lovers and those wanting to get educated on Hokkaido's fauna. The Japanese obsession with all things cute has made the alpaca a curious resident of Hokkaido. There are currently two alpaca farms on the island where visitors can feed and take unlimited photos with the adorable animals. The Chitose Salmon Aquarium is a fascinating place to learn about the lives of salmon. There is an underwater observation room that looks into the Chitose River to inspect migrating salmon. The largest aquarium in Hokkaido, the Otaru Aquarium boasts 250 different species of sea creatures, along with 150 marine mammals. 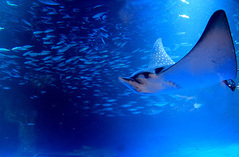 Nearly all of the sea life found around Hokkaido, and many creature from around Asia, can be seen up-close. Daily acrobatics shows and hands-on feeding experiences make this place worthy of a visit. Located in Sapporo, Maruyama Zoo offers a nice introduction to the fauna of Hokkaido and houses more than 150 different species. Ezo deer, Hokkaido brown bear and Steller Sea Eagles can all be observed in the spacious grounds. Chimpanzees, giraffes, polar bears and a number of big cats round out the international inhabitants of the zoo.